Senate Judiciary Committee Chairman Chuck Grassley, R-Iowa, seen here leaving the Capitol in May, expressed his dissatisfaction Wednesday with a report on sexual harassment in the federal judiciary. In late 2017, federal appeals court judge Alex Kozinski stepped down amid widespread allegations in the press that he sexually harassed female law clerks. In the wake of the charges, Chief Justice John Roberts appointed a special nine-member working group, a majority of them women, to examine the problem of sexual harassment in the judicial branch, and to make recommendations for needed changes. The working group released its report two weeks ago. The group called for changes in how harassment complaints are filed, including new mechanisms for filing and investigating complaints. It also called for a change in all employee materials to make it clear that protecting the confidentiality of judicial deliberations does not prevent the filing of a harassment claim. Lastly, the working group recommended that statistics on such complaints and how they were resolved to be kept and, where possible, made public. Within days of the report being issued, Senate Judiciary Committee chairman Chuck Grassley announced his dissatisfaction, and on Wednesday he presided over a hearing on the subject, throwing down the gauntlet. "The judicial branch has a problem," Grassley said. "They have to deal with it or Congress will have to do it for the courts." Grassley said that the working group's recommendations were a real chance to undertake reforms, but added that "this vague report kicks that can down the road." 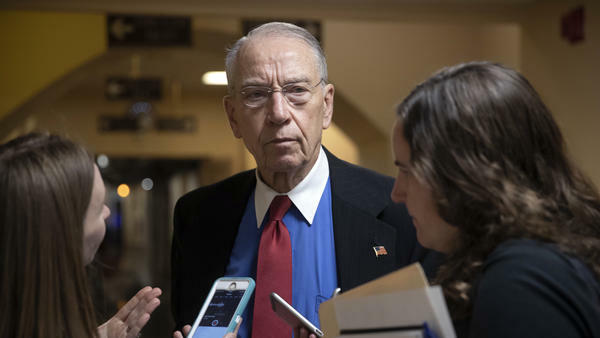 For more than a decade, Grassley has pushed his proposal that there be an inspector general to oversee the judiciary, in much the way inspectors general in the executive branch oversee departments of the executive branch. James Duff, the director of the Administrative Office of the U.S. Courts, who led the judicial working group, pushed back hard at that suggestion. He said an inspector general was unnecessary. "We perform the same functions of an inspector general in our offices at the Administrative Office of the Courts," Duff said. "We spend millions of taxpayer dollars every year on independent outside audits." He also said that they have a rigorous system of dealing with recalcitrant judges — when they know about them. A third problem with the inspector general proposal, Duff said, was that it was unconstitutional. He was not asked to elaborate on this claim, but the thinking in the judicial branch is that, under the Constitution's separation of powers, Congress cannot tell the judiciary what to do. And while Duff didn't say all that, it's unlikely he would have made such a categorical statement without consulting the Chief Justice and possibly other members of the judiciary. Duff did admit, however, that the system that is currently in place is not working. He said that while the judiciary has a history of dealing aggressively with misconduct once it becomes known, he cited a study from the Equal Employment Opportunity Commission showing that three-quarters of people who experience workplace harassment never report it. He said that not a single sexual harassment complaint was filed by a federal judiciary employee in 2017. 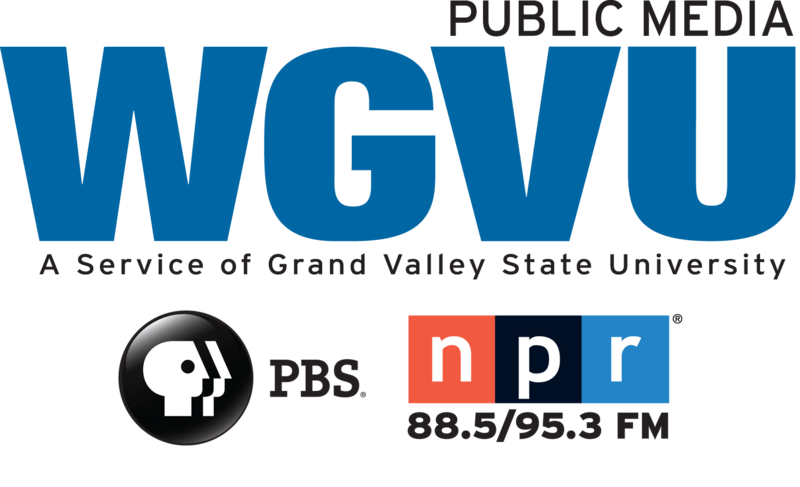 As a member of the Chief Justice's working group, Duff said that he had learned of employees who had been discouraged from reporting harassment. Many had been told that the complaint would have to be reported to the chief judge of their court, who might well be a friend of the accused judge. That is why, he said, the working group recommended a variety of ways to report harassment outside of the judicial circuit, including setting up a hotline. Both Duff and the other witnesses noted the importance of collaborating with law schools to identify patterns of harassment. "Sometimes we're not as fully aware of the rumors out there," Duff said. He suggested working closely with law school career offices and former clerks could help to remedy this. Jaime Santos, a former law clerk who has been working with various law clerk associations, agreed. "Law schools collectively know more information about abusive conduct in judicial chambers than any other entity," she said. There are more than 30,000 employees in the judicial branch of the federal government, but only a small percentage are judges or law clerks. At Wednesday's hearing, however, the judges and clerks were the focus, and not the supervisors or employees in the numerous support offices: probation offices, clerical offices, special master offices and many others. Jenny Yang, former chair of the Equal Employment Opportunity Commission, said that it is difficult to create a trusted and independent process when "the judiciary is regulating itself." Yang also pointed out that the judiciary has a number of features that increase the likelihood of harassment. "These include significant power disparities, employees new to the workforce, isolated workplaces and workforces where men historically dominate leadership posts," Yang said. Santos, the former law clerk, said she had heard about currently sitting judges who have engaged in sexual misconduct within the past several months. Pressed as to why things seem to be changing now, she said that having more women in powerful positions makes a difference. She urged the judiciary committee to look closely at president Trump's judicial nominees. "If 85 percent of the new nominees are white men, it's not going to really create a lot of positive change," she said. So the U.S. Supreme Court building is directly across the street from the U.S. Capitol. But yesterday, the two branches of government were at odds over who should direct how the judicial branch deals with sexual harassment. Here's NPR legal affairs correspondent Nina Totenberg. NINA TOTENBERG, BYLINE: In late 2017, Federal Appeals Court Judge Alex Kozinski stepped down amid widespread allegations in the press that he sexually harassed female law clerks. In the wake of the charges, Chief Justice John Roberts appointed a special 9-member working group, a majority of them women. Their charge - to make recommendations for how the judicial branch handles sexual harassment in the workplace. Two weeks ago, the working group report was released. It called for changes in how harassment complaints are filed and investigated and a change in all employee materials to make clear that the confidentiality of judicial deliberations does not extend to misconduct by a judge. Other recommendations were for whistleblower protections, a complaint hotline and a public reporting of statistics on complaints and how they were resolved. Within days of the report being issued, Senate Judiciary Committee Chairman Charles Grassley announced his dissatisfaction. And yesterday, at a hearing on the subject, he threw down the gauntlet. CHUCK GRASSLEY: The judicial branch has a problem. They have to deal with it, or Congress will have to do it for the courts. TOTENBERG: The working group's recommendations, he said, were insufficient. GRASSLEY: It was a real chance to undertake reforms. But in too many ways, this vague report kicks that can down the road. TOTENBERG: It should be said that for more than a decade, Grassley has pushed his proposal that there be an inspector general to ride herd on the judiciary, in much the way inspectors general in the executive branch investigate and audit executive branch departments. But James Duff, the director of the Administrative Office of the U.S. Courts, who led the judicial working group, pushed back hard on that suggestion, calling it unnecessary. JAMES DUFF: We perform the same functions of an inspector general in our offices - at the Administrative Office of the Courts. We spend millions of taxpayer dollars every year on independent, outside audits. TOTENBERG: Nobody asked him why. But the thinking in the judicial branch is that under the Constitution's separation of powers, Congress cannot tell the judiciary what to do. And while Duff didn't say that, you can be sure he wouldn't have made such a categorical statement without consulting the chief justice and possibly other members of the judiciary. Duff, however, admitted without reservation that the current system for handling harassment complaints is not working. Indeed, he said, there were zero sexual harassment complaints filed in 2017. As a member of the chief justice's working group, he said, he'd learned that many employees have been discouraged from reporting harassment, told that the complaint would have to be reported to the chief judge of their court who might well be a friend of the accused judge. That's why, he said, the working group recommended a variety of ways to report harassment outside of the judicial circuit, including a separate office in Washington, D.C. There are 30,000 employees in the judicial branch of the federal government. Only a small fraction are judges or law clerks. But they were the focus of this hearing. Jenny Yang, former chair of the Equal Employment Opportunity Commission, said the judiciary has a number of risk factors that are powerful predictors of harassment. JENNY YANG: These include significant power disparities, employees new to the workforce, isolated workplaces and workforces where men historically dominate leadership posts. TOTENBERG: It's difficult to create a trusted and independent process when the judiciary is regulating itself, she added. Jaime Santos, a former law clerk who's been working with various law clerk associations, said she's heard about currently sitting judges who have engaged in sexual misconduct in the past several months. Pressed as to why there is now pressure for change, Santos said that having more women in powerful positions makes a difference. And she urged the judiciary committee to look closely at President Trump's judicial nominees. JAIME SANTOS: If 85 percent of the new nominees are white men, it's not going to really create a lot of positive change. (SOUNDBITE OF 65DAYSOFSTATIC'S "UNMAKE THE WILD LIGHT") Transcript provided by NPR, Copyright NPR.